Can you improve something that’s pretty close to perfection already? The BSA’s Merit Badge Maintenance Task Force thinks so. It’s the job of Scott Berger, volunteer chairman of the task force, and his team of volunteers and staff advisors to keep our current library of pamphlets and badge requirements up-to-date, relevant and fun. The BSA will always consider the development and release of new merit badges when appropriate, but this task force regularly reviews all merit badges and welcomes your input to help improve the Scouting experience. I talked with Berger last week to discuss the difficult but rewarding task facing his task force. This usually results in small “tweaks” to requirements. Sometimes the wording of a requirement might be improved, with the text clarified but the underlying intent unchanged. Other times one or more requirements might be completely out of date, “and we’ll fix that,” Berger says. Going forward, I would recommend Scouts, parents, leaders and counselors always check for the most current requirements at this site. What if a Scout has already begun work under a previous version of the merit badge requirements? Under most circumstances, he can continue working using these older requirements. To help with that, the task force will post those older requirements online as well. The constant-improvement approach makes sense. The BSA has 136 currently available merit badges, each offering Scouts a chance to learn a new skill, trade or hobby. The selection is vast, spanning a wide range of what Scouts love: sports, crafts, science, trades, business and future careers. Though a handful of Scouts earn every available merit badge, that’s not the goal. The reason there are so many is because Scouts are interested in so many different things. 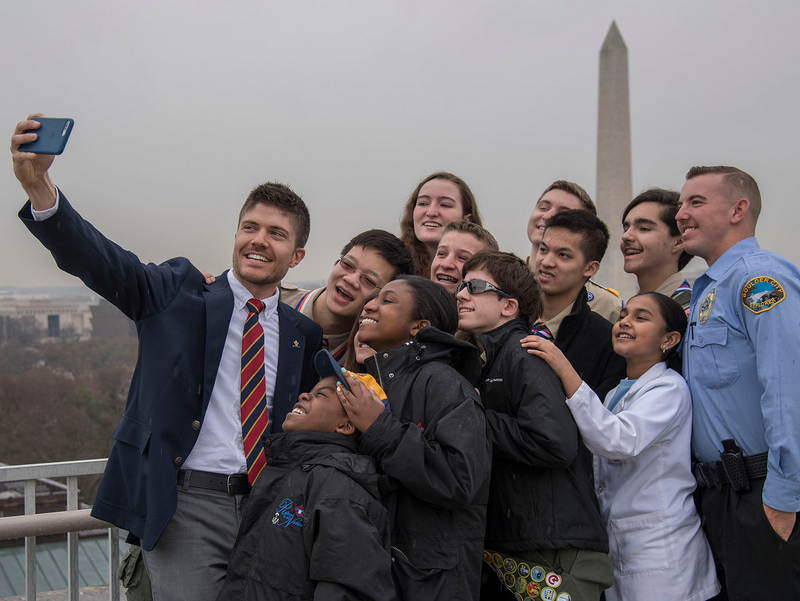 BSA volunteers and professionals believe improving and expanding existing merit badges serves Scouts well. Take the Snow Sports merit badge, for example. Beginning in 2016, Boy Scouts now can earn that merit badge on snowshoes. Before 2016, only downhill skiing, cross-country skiing and snowboarding options were available. Updating requirements means merit badge pamphlets and the Boy Scout Requirements book need to be updated as well. In the past, this process slowed down the update cycle, at times causing delays of a year or more. Not anymore, Berger says. Again, if a Scout has started working on a merit badge using earlier requirements, he’s fine. He doesn’t need to start over. The new requirements must be used by Scouts beginning work on the merit badge from that point forward. Changes to merit badges aren’t taken lightly — never have been. The volunteer-driven Merit Badge Maintenance Task Force works with experts on that particular topic and professionals at the BSA before approving any changes. Grouped requirements in a way that’s easier to follow. Updated CPR mentions to reflect the fact that CPR techniques frequently change. I’ll share more about the four merit badges with major revisions in separate posts coming soon. The Merit Badge Maintenance Task Force accepts input from fellow volunteers. Suggestions for merit badges updates can be send to merit.badge@scouting.org.